The only SCA adapter on the market that was designed for high-speed LVD applications. 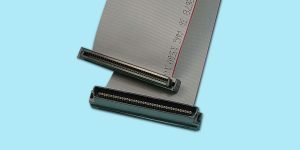 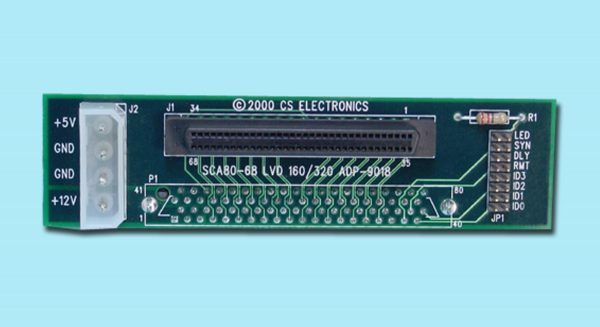 We have incorporated the latest design techniques in our adapter board such as MULTI-LAYERED/MATCHED IMPEDANCE, PAIRED TRACES, etc., to ensure that this high performance SCA adapter is compatible with 160/320 mb/s LVD drive subsystems. 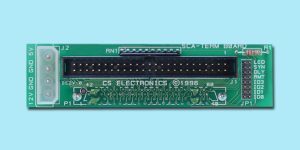 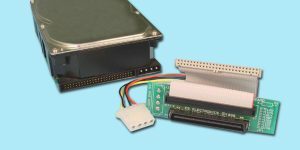 No mounting holes – 1″ form factor.